We will visit you on the garden site for which you would like to have a consultation, at a date that corresponds to each others availability. We will analyse and establish together realistic objectives for your project, according to your preferences, your expectations and your budget. 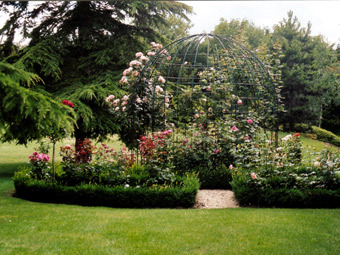 We take charge of the digital recording of photos of your garden and we take note of its main characteristics, i.e. dimensions, orientation, soil composition, identification of a theme, etc. Following which, we will send you within a few days a quotation for the implementation of your project. A flat rate of 80 € VAT inclusive is payable as a contribution towards travel expenses. This payment will be deducted from your invoice if you decide to carry out your project with us. If you have chosen this option, simply fill out the form included here and we will immediately contact you in order to establish together an appointment. Any further comments, remarks, observations?